I have to make a confession: it has been over a decade since I studied the Odyssey. While I do remember enjoying that unit of my college freshman English class, enough time has passed that I cannot recollect as many of the details as I would like. So, when Madeline Miller’s Circe, which tells the sorceress’s perspective on the Odyssey, arrived as part of my favorite book subscription box, I had to refresh myself on who she was. It bothered me that I could not remember the role that she played—understanding the original story that the author was trying to flesh out provides me an insight to the kinds of choices that the author made in the story. For those of you who are like me, let me remind you: Circe was the witch who lived on the island of Aeaea; she turned Odysseus’s men into pigs, but after he challenged her actions, they became lovers. While there was a glossary in the back of Miller’s the book outlining all the characters, I found that was only minimally helpful. I am the type of reader who has this obsessive need to know as much about a topic as I can, so I had to go in more depth on the source material. In addition to a basic Wikipedia research, I dusted off my copy of Edith Hamilton’s Mythology and streamed a 1997 TV series based on the Odyssey on my husband’s recommendation. (Admittedly, I was psyched that Bernadette Peters played Circe because I became a huge fan of her performances in Smash and Mozart in the Jungle.) I also spent some time trying to research what a really good translation of the Odyssey would be, struggling to remember which one I read in college. I did find that Emily Wilson’s translation came highly recommended and was able to find the e-book through the St. Paul Public library. I would definitely say that the subject matter of this particular book got me down a research rabbit hole. However, it was a rabbit hole that turned out to give me a lot more insight into what Madeline Miller was trying to accomplish. 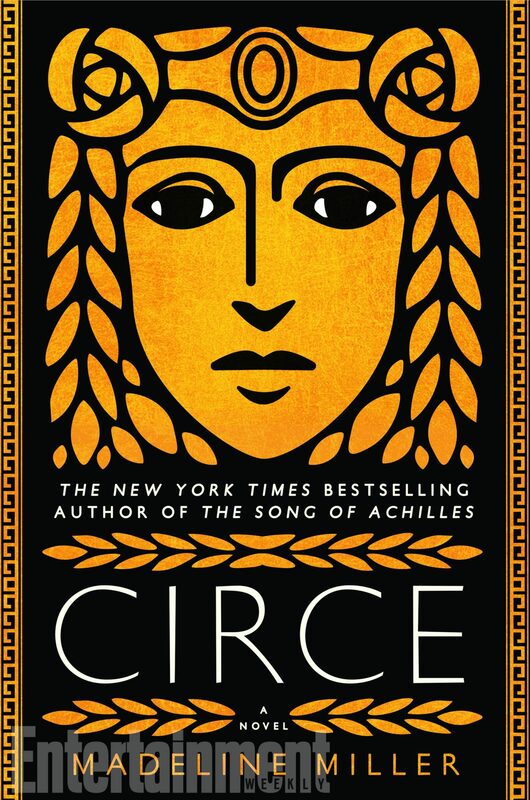 I had to read Circe twice because the first time I felt preoccupied with what I needed to refresh myself with on the subject of Greek mythology. Miller really goes deep into the character of Circe, who starts as a nymph who is born to Helios and Perse. The rule is established at the beginning of the book that aiding mortals is a cause for punishment, and of course, Circe becomes interested in a mortal fisherman named Glaucos, whose story was originally told in Ovid’s Metamorphisis. This novel indicates that it is Circe’s power that gets him to fall asleep and have him wake up feeling transformed. This is what leads to Circe’s father’s realization of the magical power she has, which prompts him to exile her to Aeaea. While she is on the island, she begins to hone her witchcraft skills. She eventually meets Odysseus and has an affair with him, and Miller’s account of their relationship from Circe’s perspective allows for more detail about her feelings. Circe directly talks about living in the shadow of Odyseeus’s wife, Penelope. She makes the observation out of a sense of jealousy, “My wife, he always said, when he talked of her. My wife, my wife.” After he leaves the island, Circe has their son, named Telegonus. Nothing captures Circe’s desire to understand humanity more than raising her human son. She indicates a longing for more insight on humanity throughout the book, but it is parenthood that brings her knowledge to a more intimate level. In making sense of humanity, she says, “In those months that I spent with Odysseus, I had thought I’d learned some tricks of mortal living. . . . But what did I know of mortal babies? . . . Thank gods I did not have to sleep.” I loved that because it touched on the never-ending dilemmas of human parents that I know. With these kinds of insights, Circe has brought me a fresh perspective on the mythological tales. I doubt that I would have gotten as much out of this novel if I had not had the time or interest in going back and doing research on Greek mythology and rereading the novel with that knowledge. One of the joys of this book is all of the pieces of mythology that Miller pieces together; Greek mythology is very complex, and reading this book was only dipping a toe into the sea of stories. Betsy does not think that reading distracts her from life. Rather, life distracts her from reading. Her favorite distractions from reading are dogs, sushi, musicals, opera, geeky TV shows, and conversations with her husband. Her love affair with the written word does not stop with reading—she writes, too!